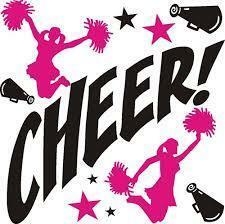 Cheer Tryouts begin Monday, December 16th after school. Please make sure you have your athletic packet completed and are cleared to attend. Tryouts will be held Monday and Tuesday from 4:00 pm to 6:00 pm and Wednesday from 3:30 pm to 5:00 pm. See Mr. Contreras with any questions.